The WEIGHT is over! Let's talk the best ballast options for your boat. First things first (I might date myself here a little bit with this analogy), please please PLEASE don’t turn your boat into a Penny Racer. For those of you who were born after the ’80s, please reference this picture below. Firstly, you will put major strain on your boat’s engine…and, secondly, you don’t want to look like a jabroni doing a wheelie around the lake. Here are some quick tips for both disciplines that will help you get the most out of your boat’s wake. I have always instituted the 60/40 or 70/30 rule when we were looking to boost our wake for wakeboarding. 60-70% of the weight should be in the middle/rear of the boat, while 30-40% of the weight should be in the nose of the boat to keep it from looking like a Penny Racer. Not only does it keep your legitimacy in check, but it will also help your wake actually have more amplitude and a better/cleaner face for the best pop you can get. I like to check my work by getting the boat up to speed and letting the rope out to the length that I like to ride at (usually somewhere around 70′ to 80′). Where the handle is skipping across the water, look to the left/right of the handle to make sure the wake is clean and doesn’t have any white wash or roll over. More weight in the back or middle makes for a wider wake. More weight in the nose/bow means more amplitude and a cleaner face. Once you’re done arranging and filling your sacs, get the boat back up to speed and spot how the wake looks again to the left/right of your handle. 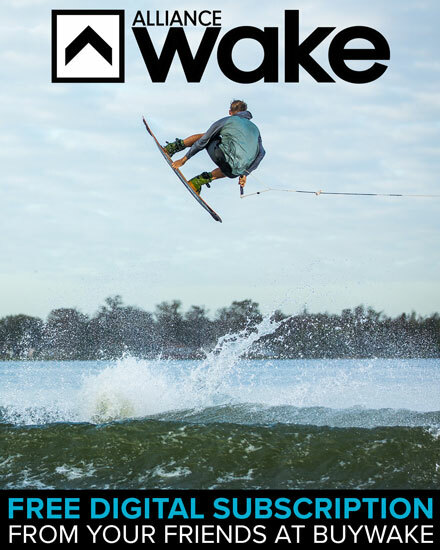 If the wake is looking better behind the handle, you might want to consider letting your rope out more or adding some length to your rope (just make sure you can clear the whole wake on each jump). 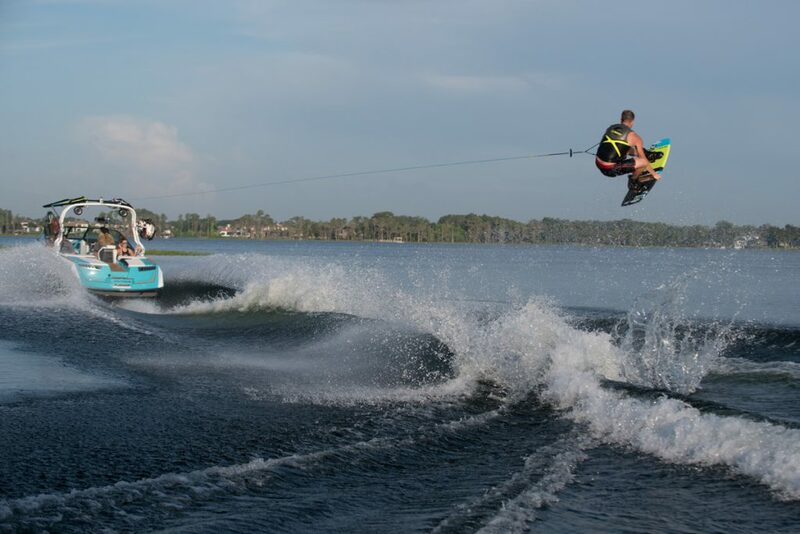 If the wake is cleaner in front of your handle, you can either bring the rope in a section or speed up slightly. Either way. Wakesurfing is a different beast altogether. Riding at 10-14 MPH and having the brunt of your weight/ballast focused on the rear, or…more specifically, the rear corner of your boat, it’s going to be hard not to look like a kook in a Penny Racer doing wheelies around the lake. But, if you pay close attention to your wave and how it changes when you move people/ballast around the boat, you can really fine-tune things and optimize your wave. 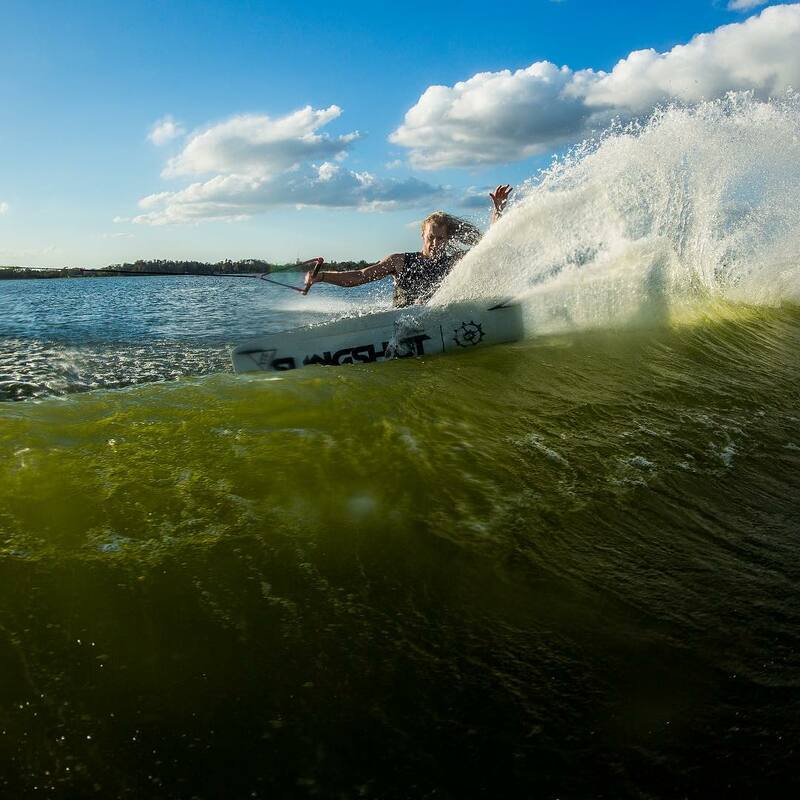 When thinking about weighting your boat for wakesurfing, try to think mentally section your boat into three parts; nose, middle, and rear right or rear left. I typically like to put about 40% of the weight in the middle, 20% up in the nose, and then the remaining 40% of the weight in the rear right or rear left, depending on what side you’ll be surfing. The weight in the middle weight means even displacement of the boat as a whole before you ever hit the throttle. 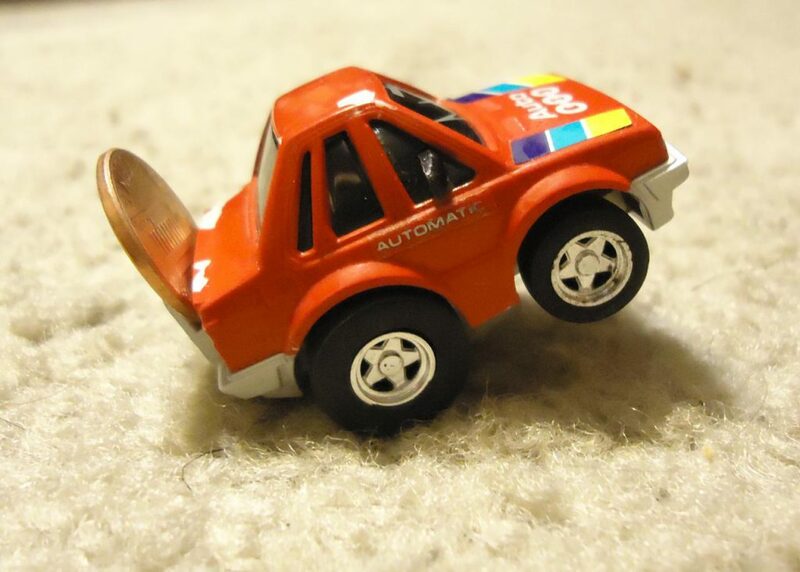 Better on the engine and better wave overall. 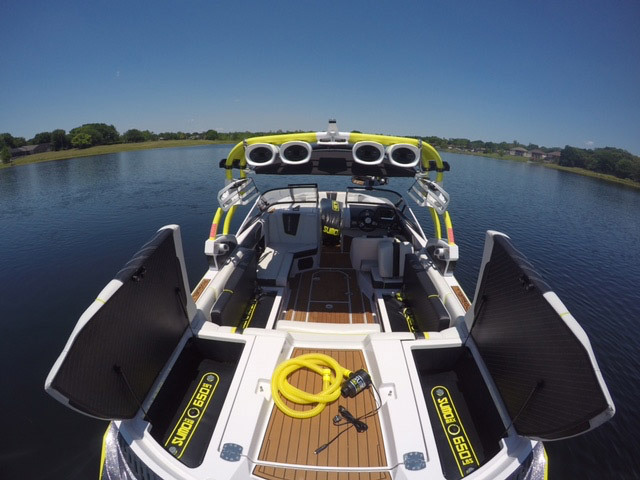 The nose weight helps the boat plain out better as you get up to riding speed. It also cleans up the face of the wave and gets rid of that pesky whitewash where you want to be doing your shredding. The remaining 40% that you allocate to the rear right or rear left will help put your boat off-axis slightly in the water, driving that corner down and creating more water displacement. This displacement will help give your wave body and a nice, clean pocket to surf in. Get your boat up to the speed you prefer to surf at and see how your wave looks. You might need to shift the weight ratios around a little bit here and there, depending on your boat. You might possibly even speed up or slow down your riding speed to get things perfect. Always remember: PEOPLE = BALLAST BAGS!! I know it’s funny and maybe not right to think of your buddy or your significant other as a “ballast bag,” but don’t hesitate to ask him or her to move around within the boat to help you fine-tune how your wake for wakeboarding cleans up or your wave for wakesurfing smooths out. No shame in my game, if you’re in the boat and we need to tweak something, I’ll probably ask you, haha! Now you have some easy tips to tuck away in the back of your mind as you hit the lake this spring and summer! 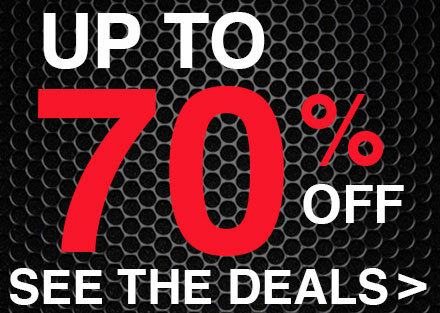 This has worked for us and we hope it works for you. 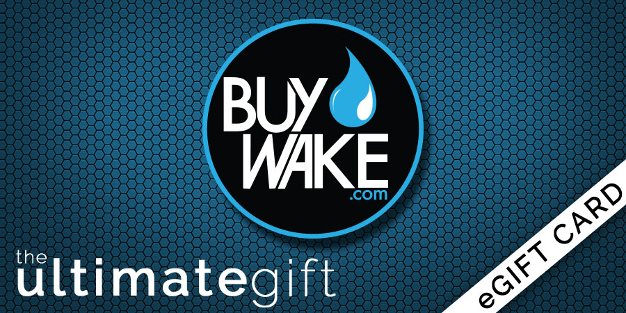 For deeper reading on products be sure to check out our previous blog post on bigger wakes. 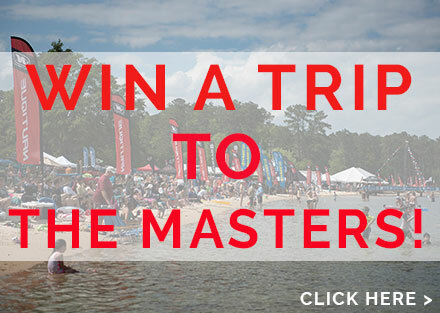 We look forward to getting you out on the water this summer!